Warsaw: A Polish priest apologised Wednesday for burning "magic" Harry Potter books, after his actions sparked a wave of protest and comparisons with totalitarian regimes and the Inquisition. Last Sunday, after mass, three priests in a parish at the Baltic port city of Gdansk presided over the burning of items including books they said were "linked to the occult and magic". They had burned them in line with Biblical exhortations against practising idolatry, they said. A post detailing the incident on a Facebook page run by the Catholic "SMS from Heaven" evangelical group went viral, drawing heavy criticism online and headlines around the world. On Wednesday Father Rafal Jaroszewicz, one of the three priests involved, posted on the same Facebook page that he was "very sorry". "The fact of burning books and other objects was unfortunate," he wrote. "However, it was not irreverent to any social group or religion, nor was it aimed at books as such or culture." The offending post - which included photographs showing two altar boys standing over the fire pit as Jaroszewicz prayed over the "occult" items - had been deleted, he added. Father Jaroszewicz had appeared unrepentant in a post on Monday. He "dreamed of the day" when "the killing of unborn babies" would trigger as much outcry as the book burning, he wrote then. 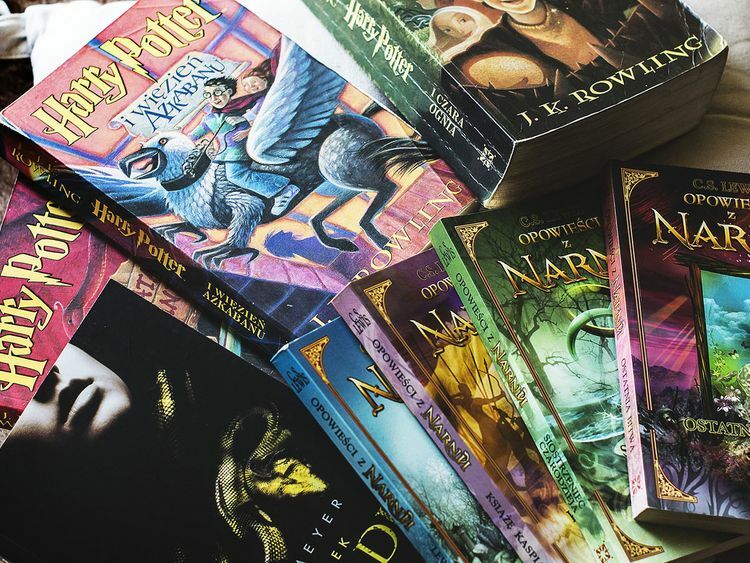 The books burned included some from British author J.K. Rowling's famed Harry Potter fantasy series; and at least one from the Twilight vampire-themed fantasy romance stories. But other items included a Hindu religious figurine. The Polish Episcopate declined comment despite calls for it to condemn the incident. Respected commentator Lukasz Turski described the "participation of children" in the burning as "particularly reprehensible". "In 1821, Heinrich Heine made a prophetic statement in his 'Almanzor' drama: 'When we start to burn books, we finish by burning people'," he wrote in the liberal daily Gazeta Wyborcza. "A hundred and some odd years later, in Nazi Germany, Heine and (Thomas) Mann's books and many other prominent artists were burning in piles in Berlin; a dozen or so years later, crematoria burned... the victims of the ideological madness of the supposedly civilised world." The top-selling Fakt tabloid daily thundered that "nobody expected a Holy Inquisition", referring to the campaign against heresy led by the Catholic Church in the Middle Ages, which involved burning books and witch-hunting. The row blew up as Poland's influential church is struggling to deal with the fallout of unprecedented revelations about paedophilia among priests. A Kantor Millward Brown survey published on Monday suggested that 64 percent of Poles want a secular state, with 29 percent opposed and seven percent without an opinion.